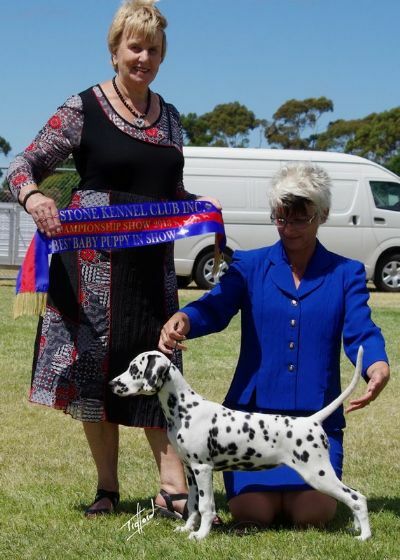 Maddie started her show career at Neilros Dalmatians in early 2013 and has quickly proved her quality in the show ring gaining her Australian Championship Title by 11 months old. 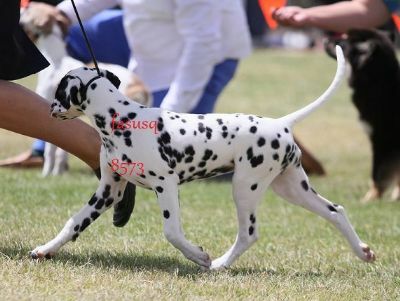 I am eternally grateful to Josh and Melissa at Johgra Dalmatians for allowing this stunning little show girl to join the team at Neilros. 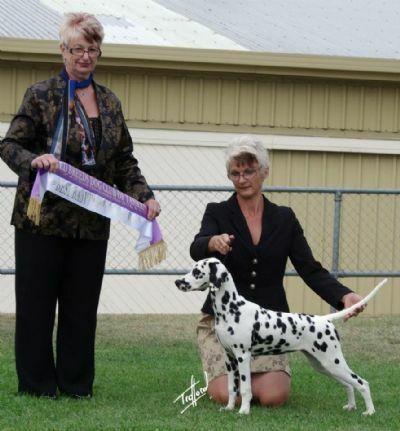 Maddie has now returned to Johgra Dalmatians and will no doubt continue on her winning ways interstate. Maddie on the move at three and half months...she is all style!